Many people write of the imminent destruction of the U.S. middle class (of which I consider myself a member) but few have explained specifically how this occurs. Understanding the mechanism seems important if I hope to avoid the fate of most of my peers. An insight on this question came from an unexpected quarter. 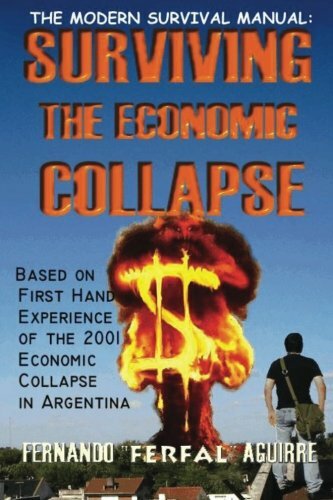 A gentleman by the name of Fernando Aguirre, who posts on Internet forums and his blog as FerFAL, has written voluminously about his experiences as an Argentine citizen during and after the economic cataclysm that wracked his country in 2001. 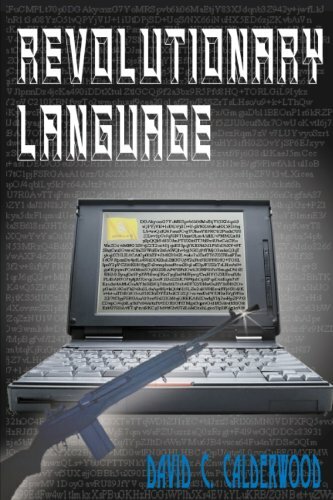 I first found a long forum post, and then a Google search of "FerFAL" revealed a larger web presence, including a recently published book. Mr. Aguierre shares his thoughts on all sorts of related subjects, from food storage to guns to politics (he appears to really like Rep. Ron Paul). I personally found a great deal of value among what I’ve seen so far. One brief passage struck me, however, because it related to the mechanism by which middle-class people become poor during an economic meltdown. The mechanism may be obvious, but it is important to see how theory actually worked in the real world. "[Those in the] middle class suddenly discover that they are overqualified for the jobs they can find and have to settle for anything they can obtain, therefore unemployment sky rockets: too much to offer, too little demand. You see they prepare, study for a job they are not going to get. You kids, you are studying Architecture because you simply wish to do so. Only 3 or 4 percent of you will actually find a job related to architecture." We all sat there, letting it all sink in. After a few months, it all proved to be true. Even the amount of students that dropped out of college increased to at least 50%. They either [saw] no point in studying something that would not make much of a difference in their future salaries, had no money to keep themselves in college, or simply had to drop college to work and support their families. This reads like a premonition. The USA’s middle-class includes lots of people whose careers rest on higher education and specialized certification. While plumbers, electricians, factory employees and truck drivers typically are among the middle-class, most of those populating suburbia are accountants, middle managers, sales people, financial consultants, teachers, nurses, writers, etc. In other words, as manufacturing and now building activity contract, more of the middle class is made up of the college-educated in white-collar careers. Factor in our current economic pickle and it’s easy to see the most likely path ahead. With the economic expansion built on mass optimism and debt rolling over, conditions are now fertile for questioning the college degree system as jobs for the college-educated evaporate en masse. The ability of technology to replace white-collar jobs is widespread, and an increasing need to cut costs is finally driving its use, just as changing economic (and regulatory) conditions also drive the replacement of manpower with robotics in the factory. Across the economy, the need to cut employment costs (not just payroll, but payroll taxes and benefits) is resulting in mass layoffs of sales people and white-collar office staff. When one considers how much work can be replaced now by accounting software, electronic sales presentations, flatter organizational structures, and "news persons" filing reports for free on the Internet via blogs, it is obvious that vast numbers of middle-class Americans teeter on the precipice of unemployability, not just unemployment. When the "unique" skill sets that commanded $50,000 to $100,000 (or more) annual salaries turn out to be in vast oversupply, the only course left is to compete with those with neither a college degree nor technical education for jobs that can’t support a middle-class lifestyle. Hands-on service occupations like nursing and medicine are also far from safe. At the end of the day, it is productivity that pays for such work to be done, and when vast numbers of people cannot find economically productive work, economic reality will land on these occupations, too. When the economic tide goes out, all boats sink into the mud. Too many people were goaded into illusory occupations by tax subsidies for higher education, government (rather than market) demand, and other distortions like the credit-without-prior-production of the central bank. Political pandering and central planning replaced the natural balance of an economy growing organically through the honest signals of the price system. As long as there was enough optimism and ignorance to sustain the illusion, the distortions only grew larger. Though the ignorance largely remains, there’s no more blind denial left to sustain the burden of all that wasted effort. If your job disappears, it may not come back. This time it really is different. The final stages of that blind denial included fiscal imprudence that bordered on insanity. The mirage economy can’t return until after the pendulum has swung its full travel to the other side of the arc. That path leads through the valley of a crushing economic depression, one that will radically and permanently alter the lives of middle-class Americans who are almost universally unaccustomed to hardship. David Calderwood [send him mail] a businessman, artist, and author of the novel Revolutionary Language, selected January 2000 Freedom Book of the Month at Free-market.net.